Raman graduated from National University of Singapore with Bachelor of Laws (Hons), as a Dean’s lister in her final year. 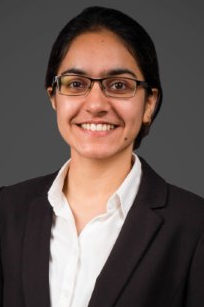 During her time in university, Raman was also an avid mooter, having successfully participated in 3 international moots, all to very advanced stages of competition, including a champions victory. Raman was called to the Singapore Bar in 2016, after securing a distinction in the Ethics and Professional Responsibility course of Part B of the Bar Examinations. In her fresh start as a commercial disputes lawyer, Raman has had varied exposure in litigations before the Singapore High Court, and arbitrations under the rules of the SIAC, LCIA and the International Cotton Association. Prior to joining us, Raman worked with the disputes team of a leading construction law firm. Raman has written articles on arbitration and construction law and has contributed updates to six chapters of an upcoming edition of a leading construction law textbook in Singapore. Acting for a trade financier in Singapore High Court proceedings involving conspiracy. Acting for an insured in Singapore High Court proceedings against an insurance policy broker concerning the broker’s negligence. Acting for a claimant in an arbitration concerning fraudulent trades. Advising a leading steel manufacturer on contractual payment claims. Acting for a construction and engineering company in Singapore High Court litigation against supplier of defective materials.